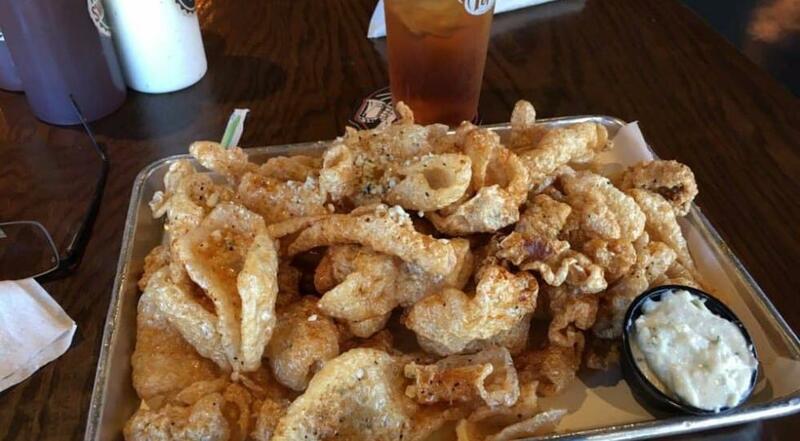 Swig and Swine’s Chef Anthony DiBernardo shared this recipe for pork rinds with The Local Palate. 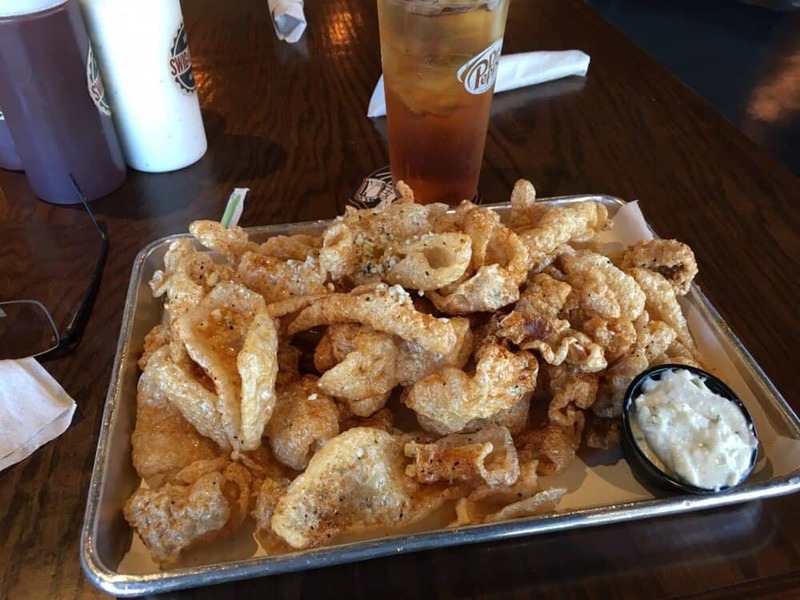 This dish is a staple on the Swig and Swine menu and, of course, pork rinds are a common sight in BBQ restaurants across SC; however, this is the first recipe that we have run across adopted for the home cook. Most of the rinds we’ve seen cooked have been on a whole hog over the pit puffed quickly with direct heat at the end of the cook, but obviously, that’s not practical for those of you at home. That said, it’s not exactly a quick process either. 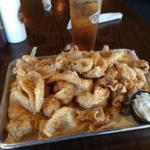 Swig & Swine currently has several locations in the Charleston area: West Ashley, Downtown, Mt. Pleasant, and Summerville. 1. Place pork skin in a large pot and cover with water. Weigh down with a plate to submerge. Bring to boil over low heat and cook until skin is soft and pliable, but not falling apart and water is white, approximately 1.5 – 2 hours. Add more water if necessary. 2. Carefully remove skin with a slotted spoon and arrange it in even layer, a with no folds, on cooling rack placed over a sheet pan. Place in refrigerator and cool completely, approximately 2 hours. 3. Once the skin is cold, use spoon or bench scraper to remove all subcutaneous fat, being careful not to tear the skin. 4. Return to the cooling rack set over a sheet pan. Set oven to the lowest possible setting, around 200 degrees, and dehydrate skin overnight until dry, brown, and brittle. 5. Break skin into 1-inch square pieces. 6. Heat deep-sided pot with 4 inches of lard or peanut oil (or a combination) to 385– 400 degrees. 8. Mix honey and Tabasco until combined. Drizzle on hot rinds and finish with crumbled blue cheese. Note: Squares can be stored in an airtight container at room temperature for up to 2 days before frying.